Zeke's Lunchbox is an art pseudonym for Sydney based artist, Julia Rich. 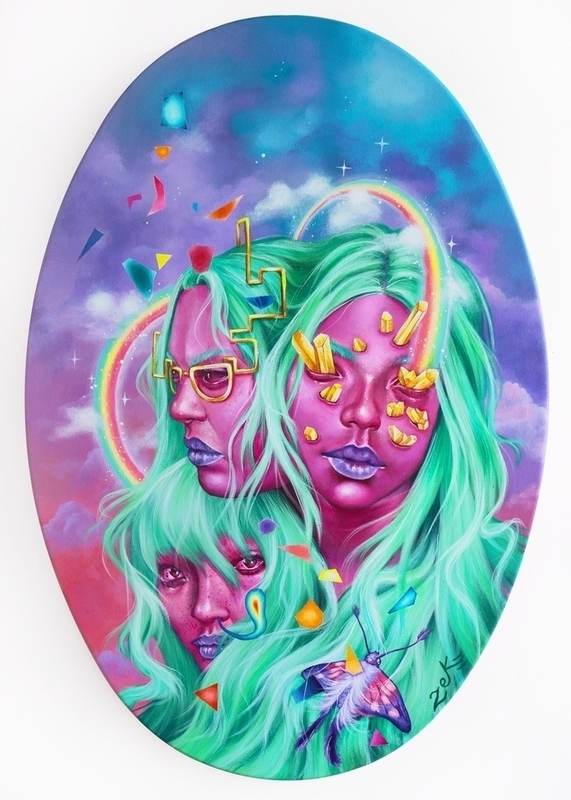 Under this name she creates work that is influenced by kitsch art and the space age while extrapolating ideas with imagery from everything B-grade. 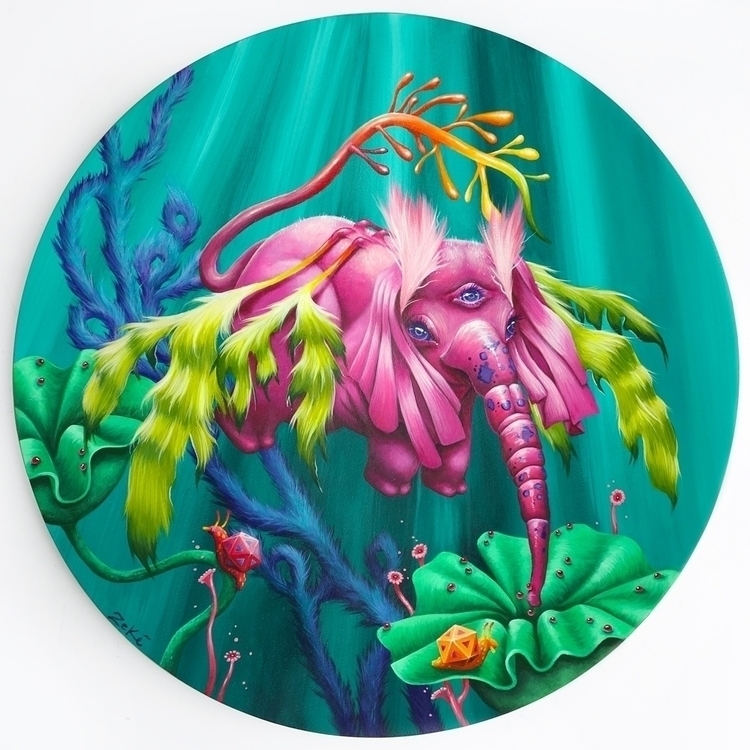 The work is triggered by schlock artists and draws inspiration from illustrators of Goosebumps and The Garbage Pail Kids. 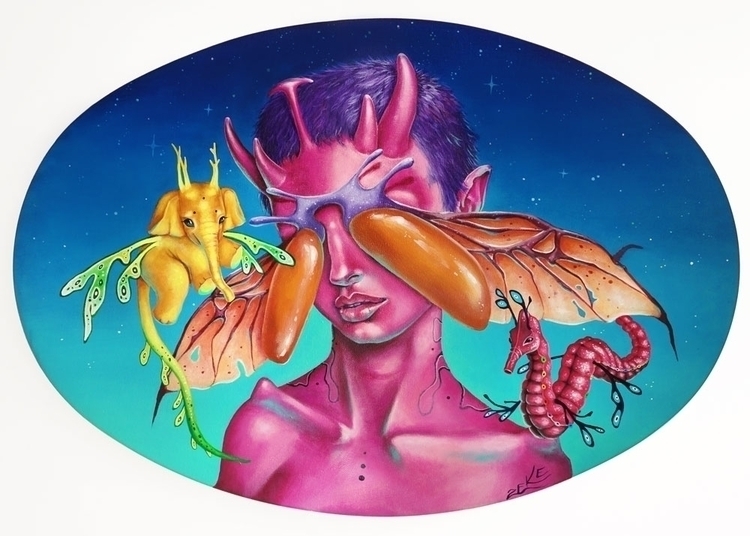 Zeke's Lunchbox is primarily a painter, illustrator and street artist specialising in portraiture of alien-like women and strange creatures that reside on distant planets. Zeke's work has been exhibited in a multitude of local and international group shows, including Miami Art Basel, Booty Worship in the US and Soft Matter in the UK. Some local highlights include her installation with fellow artist Rel 'Terhor' Pham on their ongoing project TeeZee (Terhor & Zeke), which includes art festivals; Art, Not Apart & Critical Animals. In 2016, both artists practised a three month residency TeeZee Turf with Brand X that allowed them to take over a multi-functional space that was used as a gallery, shop and studio. In 2017, Zeke's Lunchbox was selected by Avant Card as a featured artist for their postcards which ran ten thousand copies Australia wide.